Most cat owners know that kitties don’t always travel well. While dogs will often enthusiastically jump into the car, ready for the next adventure, cats are often a little more leery of change. If you are going away and have to leave your cat in a boarding facility, you’ll want to make their stay as pleasant and stress free as possible. Here are some tips on boarding your nervous cat- with a little preparation and research you can enjoy your trip without worrying too much about your feline friend! Do Your Homework: It’s important to do a bit of research before committing to a certain boarding facility. Ask friends for recommendations. Your vet is also a great resource, and may even offer boarding services for their furry patients! It’s always a good idea to check online reviews, too. Visit the Facility: Take a trip without your cat to see where your feline friend will be spending their time while you’re away. If your cat is already a little nervous, they probably won’t enjoy an “open space” kennel, which is when all the cats are housed in a big room together. 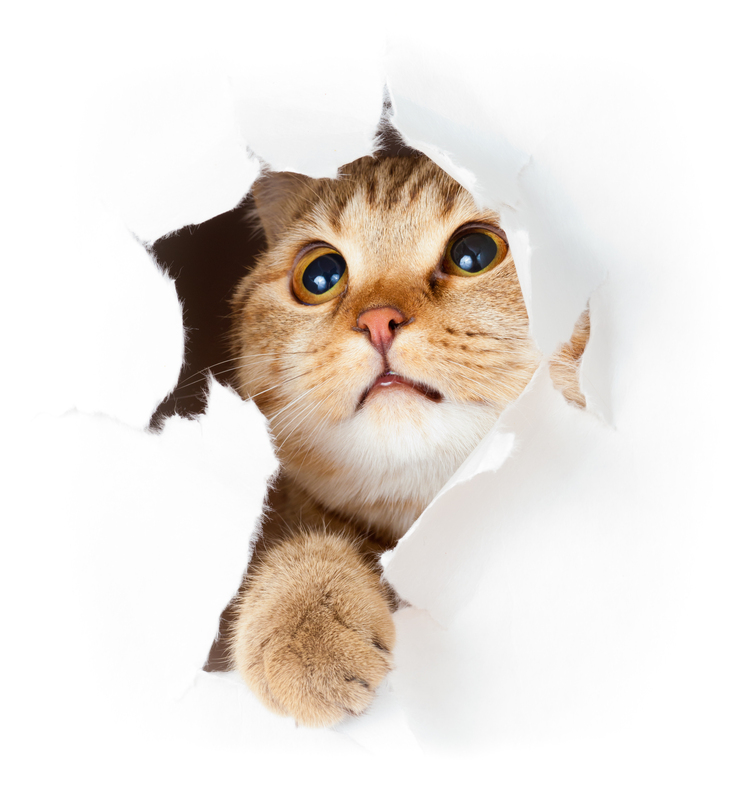 Inquire about the possibility of a private space for your kitty, which will make them feel much more at ease! Bring Things From Home: If your cat has a bed that they love, or even a special toy, bring it with them when you drop them off at the boarding kennel. The familiar scent of home will go a long way in making your cat more comfortable. Where Are The Dogs? If the boarding kennel also boards dogs, ask if the dogs and cats are in a different building. The sound of 50 barking dogs won’t be good for your cats nerves- so make sure the dogs are as far away as possible!